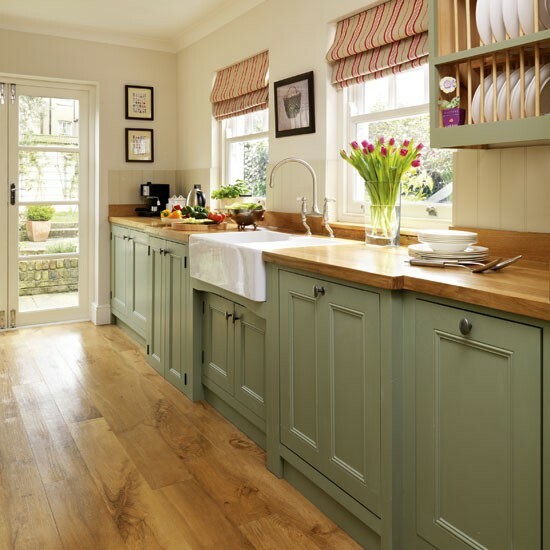 When choosing paint colours for our kitchens, many of us simply don't have the option of painting our cabinets, nor do many of have beautiful wooden cabinets to paint! If you're not prepared to put in a LOT of maintenance, painting melamine isn't the best way to go. It may look fabulous at first but with all the scrubbing and hard-knocks that kitchen doors inevitably take (let's be realistic! ), they'll be peeling and flaky in no time at all. 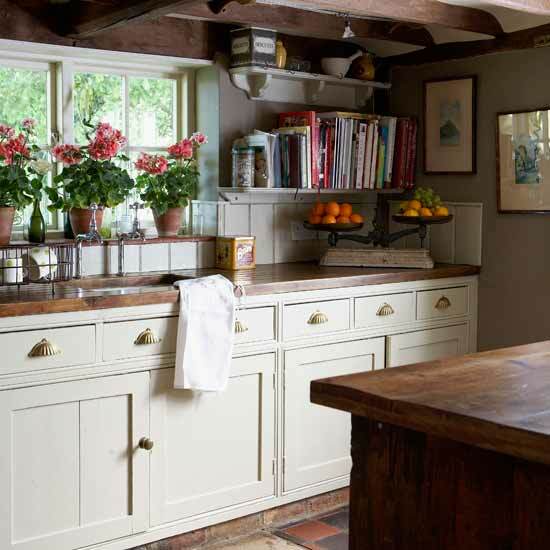 Far better, if you've inherited a kitchen that must stay but needs an injection of character, is to give your space a kiss of character on the walls themselves. 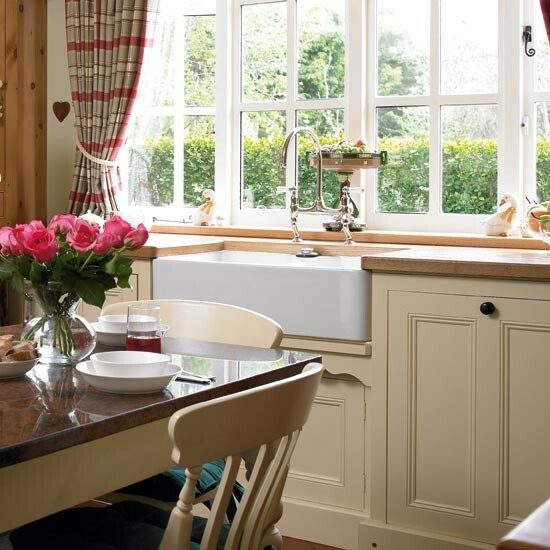 With our extensive range of wipeable paint finishes, perfect for removing accumulating kitchen grime, Relics of Witney can offer you long-lasting peace of mind for a kitchen that will still look lovely in years to come. 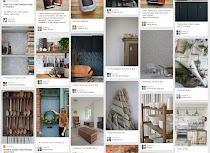 So, where to start when choosing wall colours for your kitchen? Here are a few, key pointers but for tailored advice to suit your needs, do contact the team at Relics. For more tips, take a look at Farrow and Ball's new booklet, available for our customers in store! First of all, look at the design elements of your kitchen that can't be changed. Are they cool or warm? 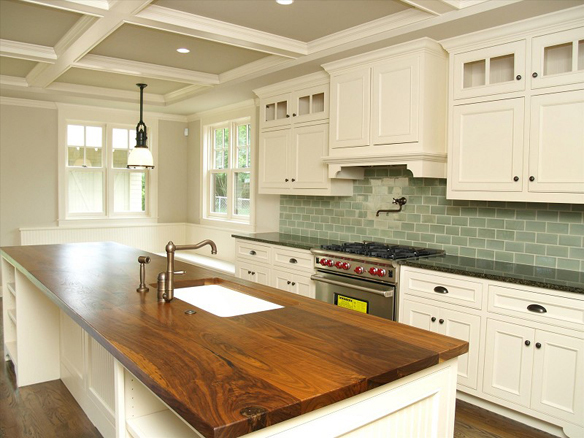 Choosing paint accordingly will make sure that your final choices will enhance, rather than distract from, your existing kitchen. The brighter the room, the bolder you can be with your colour choice. If you've always yearned for deep and moody walls, kitchens, with plenty of white cabinets to blow away any traces of gloominess, are a good room to dip your toe into the dark side. Try Farrow and Ball Off Black. 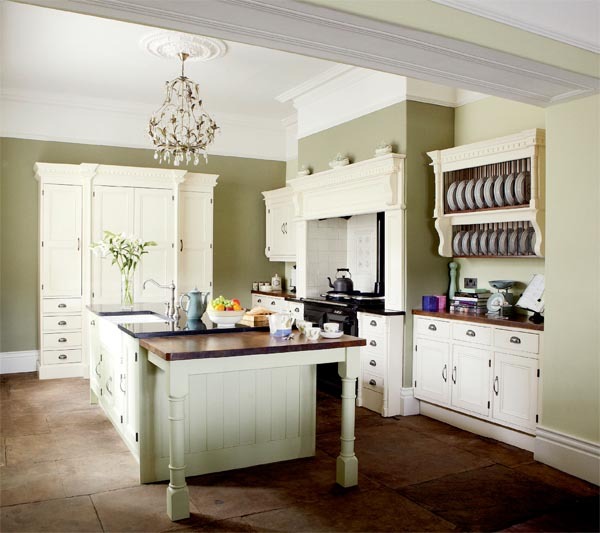 Consider tying in two or more paint colours to add depth and interest, such as in the kitchen below, which uses Farrow and Ball Pavilion Gray, Strong White and Cornforth White. And our final piece of advice? Choose a colour that you LOVE! Paint fashions will come and go but kitchens are a room where you'll be spending a great deal of time. Let us help you get it right! Our newsletter this month will help you think about tying in your door and window furniture. Have you signed up for yours yet?